What was the moment for you? I am interested in hearing what it was that made you start to take control of your personal finances. For me, it was when I learned the simple fact that INCOME – OUTGO = EXACTLY ZERO. I had been through 20 years of formal education including 6 semesters of calculus and advanced calculus. I understood that stuff (back then, anyway), and yet I could not make my money behave. The moment that I SAW the simple math on paper for my money, I was equipped to manage my money more effectively. Since that day, the savings account has grown, debt has disappeared, and the stress of paycheck-to-paycheck living has left forever. My marriage is better than it has ever been because of the simple fact that we have removed the number one cause of marital dischord from it – money fights. So, what was the tipping point for you? What made you take action? 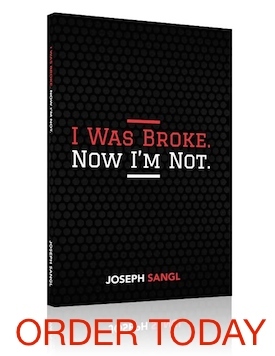 Please e-mail me at josephsanglblog@yahoo.com with that “moment” that made you take action to manage your money well.